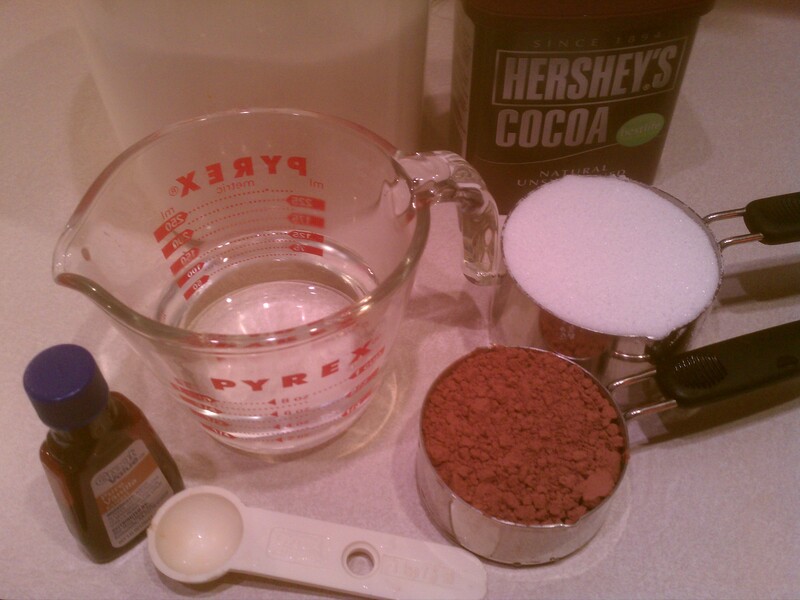 Homemade chocolate syrup, much healthier and easy to make! parents allowed it. That dark brown plastic bottle (or tin can if you’re really old school) was and still is ubiquitous in American households. Sure, it’s not a health food by anyone’s definition, but it wasn’t until this year that my recently health-conscious mother looked at the ingredients and was disgusted. The main ingredient: high fructose corn syrup. A simple Google search will yield many articles about the effects of corn syrup along with some commercial sites with a vested interest in leading you to believe that since it’s made from corn, then it must be good for you. I tend to put more trust in sources that are not selling me a product, such as academic sites or those run by major hospitals or clinics. Here is an article from Princeton University that discusses how high fructose corn syrup leads to weight gain (especially in the abdomen) and a rise in tricyclerides, blood fats that, when in excess, can lead to heart attacks. Don’t believe it? Think about how many products you’ve seen with HFCS in them in recent years, and how many more obese people you’ve seen during that time frame. Coincidence? Pour the first 3 ingredients into a small pot. 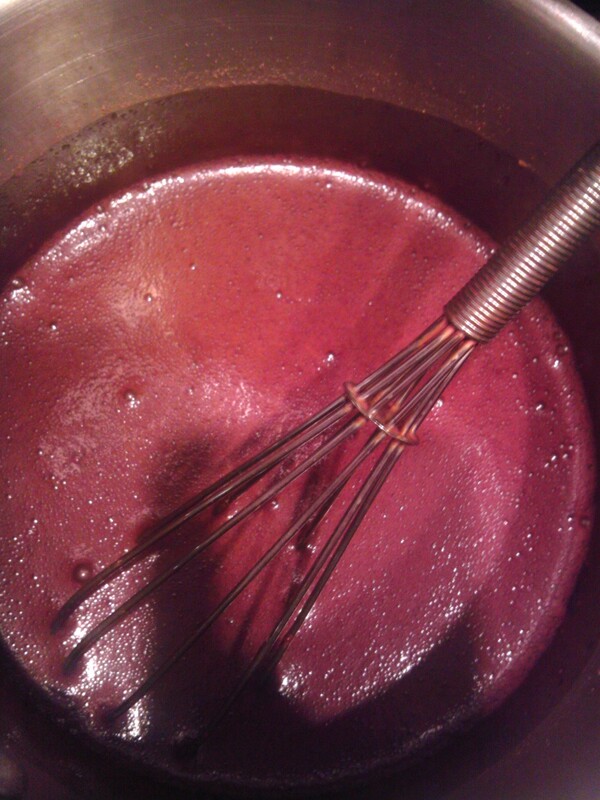 Stir over medium heat until consistency is that of syrup (1-2 minutes). Remove from heat; let cool for 2-5 minutes. Add vanilla and stir. Pour into bottle and store in the fridge. We put ours in a glass bottle meant for olive oil. We are looking for something larger to better suit our household of chocoholics. My husband loves chocolate milk, so this is great! I’ll have to make him some today, and I have the perfect bottle too! Wow! This syrup looks easy! I am going to have to try it out, I also have a house of chocoholics. Thanks for sharing!